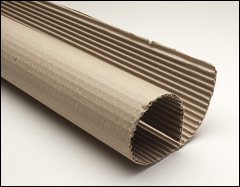 Paper protective tape, polyethylene protective tape, stretch wrap, corrugated kraft paper. In addition to these surface protection products shown below, please see our Film page for an uncoated polyester film used for mandrel wrapping, laminating, coating, and protecting. 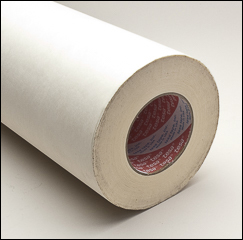 3M 346 short term, heavy-duty, abrasion resistant paper tape. Helps prevent damage to painted, varnished, gel coated surfaces, and to wood or fiberglass decks. Offers protection to the topside surfaces and the cabins of boats under construction, repair, or restoration. Can be used up to six months, indoors or out. 17.0 mil, tensile strength of 28 lbs/in. 60 yard rolls. Sold by the roll. 3M 4125C clear low-tack adhesive system provides temporary protection for many metals, plastics, and glass. Used on molded plastics, fiberglass, acrylic spas/tubs, cultured marble, molded fiberglass. Non staining acrylic adhesive. 4.0 mil thick, 150' roll. Low density polyethylene backing, acrylic adhesive. 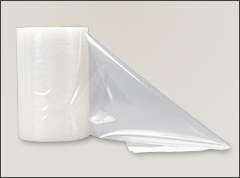 Hand stretch-wrap film has excellent puncture resistance and superior load retention. Consistent film performance. Film is see-through so product is easily identified. Provides product protection and tight packaging. 1500' rolls. 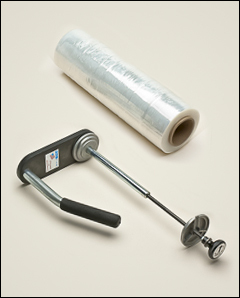 metal dispenser for use with 12" to 18" rolls of stretch wrap. Tensioning knob on top. Brown single face corrugated paper on a roll. Used for protection under parts and panels laid-up on a table or on the floor. 36" wide rolls are 26" in diameter.